Valentines is just around the corner! And a lot of love goes into making our Valentine balloon sculptures that are already being ordered by those who want to surprise their loved ones on February 14th. Say 'I love you' with this stunning Valentine's Day balloon sculpture, just £14.99. Order now ready for the 14th: 01179 312206. #valentines #balloons #bristol These special balloon sculptures are an alternative and unique way to surprise your Valentine this year. 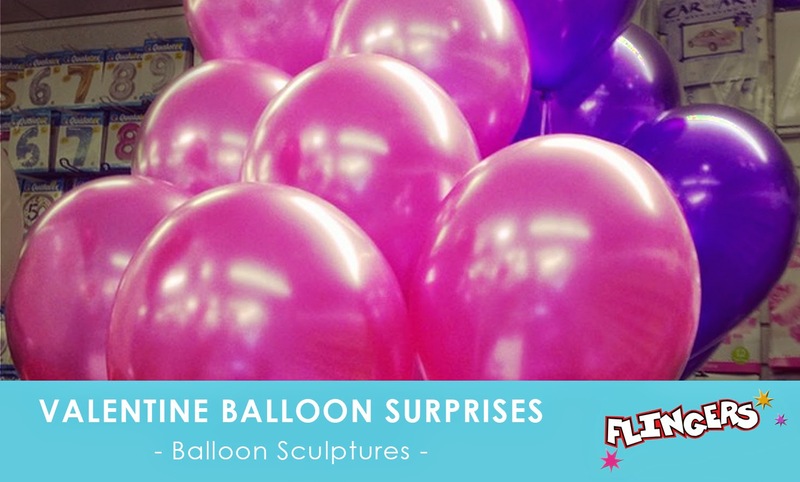 Each balloon sculpture can be custom made by you, so it will be extra perfect! You can choose from our huge range of Valentines balloons to build up you display balloon by balloon. Whether you want to go for a big bubble balloon or a sweet supershape balloon as the main feature. Or simply want a great big bunch of red and pink latex balloons to blow your Valentine away with! If you think that a personalised balloon bunch would be better for your Valentine than a bunch of flowers, then let us know! Order now ready for collection on February 14th by calling the team on 01179 312206, or pop in store to browse our range of pre-made Valentine balloon displays to inspire you! Do you have someone special in mind for Valentines Day?